Cassava is known by many names like yuca, tapioca, mogo, manioc root etc. The rains at the coastal region means that the mogo as its called in kiswahili is fresh and when cooked very powdery. 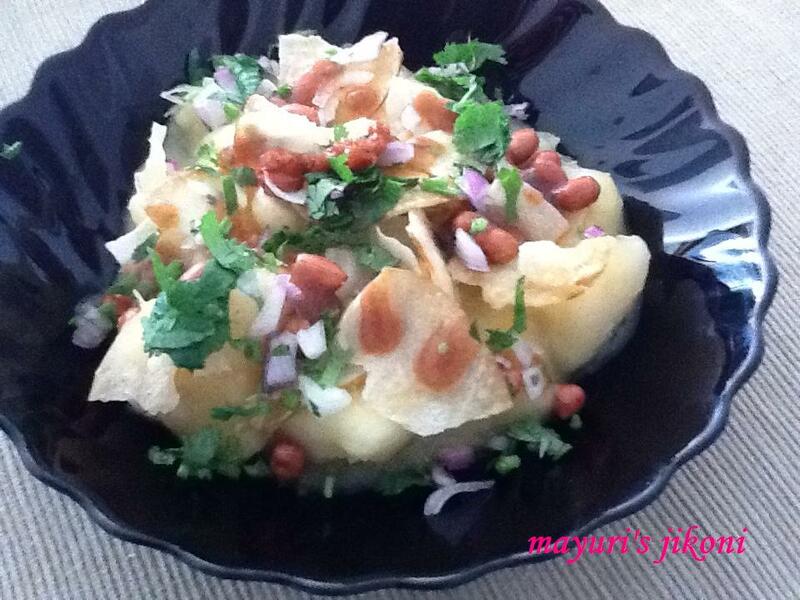 My kaki makes this yummy simple mogo and she really doesn’t have a name for this dish. I took the liberty of calling it Mogo chaat because that’s what it is “chatpatta”. I have not eaten this dish at anyone’s home here in Kenya or as a street food. Yes mogo cooked in coconut milk is common but not this dish. I think my kaki learnt it from Tanzania where she had lived many years ago. Slight changes have been made to the dish to make it more spicy but otherwise its a very simple dish to prepare. I made this yesterday but without the onion and garlic. Try it, am sure you will love it and its really filling. Peel the cassava and cut it into big cubes. Wash the cassava and put it in a pressure cooker with 2 cups of water and salt. Add the chilli and ginger paste. Stir. Close the cooker and place it over medium heat. Let the cassava cook for 3 whistles. Open the pressure cooker when it is a bit cool. Add the tamarind paste and remaining water. Mix well. Mash a few pieces and let the mixture become thick. Fry the peanuts over low heat. Add salt and chilli powder and mix well. Mix the coriander, onion and chillis. Spoon the cassava mixture into a deep dish. Sprinkle a few crushed cassava crisps and fried peanuts over it. Sprinkle the coriander onion mixture and serve. Keep the extra tamarind paste on the table in case anyone wants to add a bit more. Can serve with some garlic chutney or green chutney if you like. Roast the peanuts instead of frying them. Crush the cassava chips of crisps slightly before serving. Do not use any cassava that has begun to turn black or has a hard woody middle.